I have a secret love for matchboxes. In my mind they are cute tiny boxes with endless crafting possibilities: little treasure hiding places, note keepers, candy holders, peep boxes that protect miniature worlds. 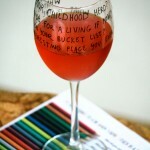 Also, I think they are the perfect base for cute handmade gifts. When I suggested that a poster from my Instant Inspiration Kit works as a fun & personal (last-minute) gift idea for a friend, the quickest way is to just give a poster as it is, potentially in a simple frame. However, for those of you who wish to step up the craftiness factor and make it even more personal, I have a fun additional idea. Say, your friend loves photography. You can easily turn a matchbox into a matchbox camera. Then simply cut out the ’50 picture prompts’- poster that holds interesting ideas to make you try something new on the photography front. 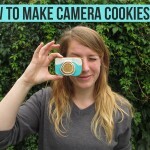 Put the tiny picture prompts in your matchbox camera, and voila: cuteness overload. Alternative suggestion: fill the matchbox camera with sentimental small pictures, like I did here. Do you like creating handmade gifts for your loved ones? If so, will you let me know what kind of things you make? Ps. Remember, the free bonus ‘Step-by-step guide to reach any creative goal’ and the option to order physical prints will only be available until December 7. Don’t miss out! Check out the Instant Inspiration Kit. 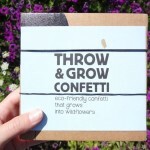 Throw and grow confetti: plant some happiness! Hey Pawi! I link to it in the post: http://www.magicaldaydream.com/1001-ideas/ The 50 picture prompts poster is part of a poster collection that I designed with 28 posters (the Instant Inspiration Kit) which you can buy for 26 Euro to get an instant download. Hi Ellen, I’m not sure if I understand your question. Are you talking about the Instant Inspiration Kit? If you live in a country that uses dollars, Paypal automatically converts the Euros to Dollars using the latest conversion rate. If you google 26 Euro to dollar, you will get a very close estimation of the cost. It will take that amount of dollars from your PayPal account.